← Bolaris: Snow This Weekend? Probably. Mega-Storm? No. 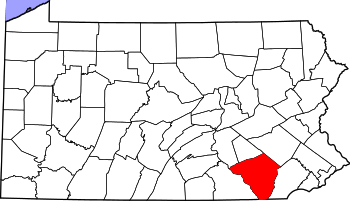 With thousands still without power, President Barack Obama on Thursday declared a state of emergency in Lancaster and six other Pennsylvania counties. The declaration allows the Federal Emergency Management Agency to bring resources to the clean-up efforts. While local officials were still unclear about the extent of federal aid on Thursday afternoon, a FEMA spokesman said the first tangible result will likely come to the county in the form of gas-powered generators. Peter Herrick, of Philadelphia-based FEMA Region III, said federal emergency management officials were talking to their counterparts at the state level to determine what equipment is needed.